If you have a LEGO® MINDSTORMS® NXT robotics kit, then this site provides free building instructions and downloadable programs for lots of fun projects. Projects designed for the young and young at heart! Only one NXT kit is required, no extra parts are needed. No programming experienced required! You can simply download and use the programs provided. Know some programming but want to learn more? Study the fully commented programs to learn how they work, modify them, and use what you learn in your own programs. 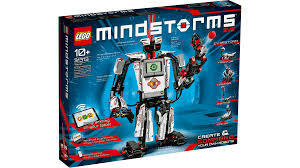 Which version of LEGO MINDSTORMS do you have?